Today an increasing number of individuals are playing the role of patient as well as payer. This trend is set to continue for the foreseeable future, and impact revenue cycle management in a number of ways. Billing and coding tasks can be quite demanding, and for many ASCs, it may not make much economic and strategic sense to run these operations in-house. In addition, the industry is changing at an unprecedented rate, making it difficult for ASC's to keep up with the ever-changing rules and regulations in medical billing. However, change is making things easier—it's now possible to outsource billing to a highly specialized and dedicated billing company. Many ASC's are already enjoying the benefits of outsourcing all or part of their revenue cycle management, specifically medical billing and coding. With in-house billing and coding, your staff will need office space. Outsourcing these operations will free up some of that space, as the billing team handles everything from a remote location. Additionally, outsourcing means less hardware to maintain. The IT infrastructure needed to run your entire revenue cycle management not only takes up considerable office space, but also requires ongoing maintenance. By freeing up office space that would otherwise be taken up by staff and infrastructure, you create more room for patient care. And with more patient care rooms comes an increase in the ASC’s capacity to offer quality care to more patients. Outsourcing your billing and coding frees you of the enormous responsibilities that come with hiring, training and managing employees. You won't have to worry about rehiring when an employee leaves—which is bound to happen at some point; or, as is quite common, losing employees to a competitor that offers them slightly better terms. 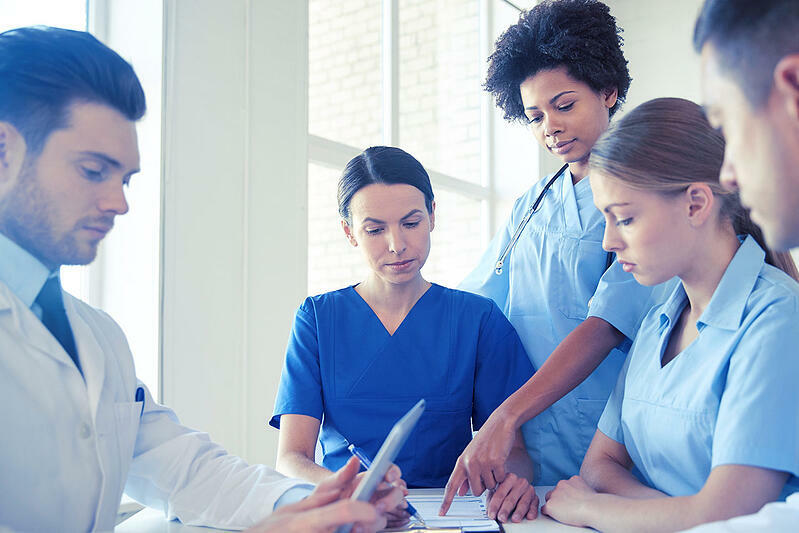 In addition, much of the energy that would be spent addressing and resolving personnel issues can be channeled toward improving the quality of care for your patients. With outsourcing, you have to worry less about industry change. The healthcare landscape keeps changing at such a rapid pace, and medical billing is not spared. Even under the best conditions, it can be difficult for ASC's to keep up with the ever-changing rules. Vigilance and continual education are needed, and most medical professionals just don’t have the time to keep up. For medical billing companies, however, keeping up with every little change is part of their work. With outsourcing, you're always in the know about what's happening in the healthcare marketplace. This knowledge can be highly valuable, but an in-house biller cannot provide the same perspective because they’re unlikely to know what other companies in your specialty are doing. Your ASC can avoid being caught unaware when payers’ rules change. A professional medical billing and coding company is always aware of any pending or proposed changes that may impact your revenue cycle. In particular, they're aware of technical changes that may go unnoticed by the office until reimbursements are affected. With all billing-related questions diverted to the billing company, office staff will have fewer incoming calls to handle. This is due to increase in clean claims out the door resulting in fewer errors with less patient phone calls with questions. ASC's know how hard it can be to provide quality patient care while they're bogged down with financial matters. To serve patients better, it’s important that you focus on what you do best—patient care. By outsourcing medical billing and coding, you and your staff are able to focus on patient care, while the billing service takes care of all billing issues. This is particularly important for smaller ASC's offices that cannot afford to pay a large administrative staff. Juggling the demands of both patient care and billing can be quite difficult. In order to improve customer service and raise customer satisfaction, it makes sense to outsource billing, which reduces the burden on your front office staff so they can focus on what they do best. And when everybody is focused on what they do best, customer satisfaction is bound to improve. In the end, you have happier patients, and as a result, a happier, more successful business. A medical billing and coding service provides solid data analytics, helping you identify areas where you’re getting it right--or wrong--when it comes to maximizing legitimate reimbursements. The service identifies bottlenecks in the billing and documentation process, and is able to teach your ASC how to avoid mistakes that would negatively impact claims. Using a billing service also affords you the benefit of knowing exactly where your ASC stands in terms of accounts receivable. A decent service should be able to tell you what percentage of claims have been paid from the initial submission, the outstanding periods for these claims, and the most important payers to your ASC on at least a monthly basis. This is important information that can cause serious drain on your internal resources to put together on a monthly basis. This is where a professional billing company can save you time and money, putting together the reports for you. With this information, you'll hardly ever be in the dark about when you'll get paid—and you'll always be aware of any downturns. Knowing your accounts receivable allows you to plan for the future, as you know exactly where your ASC stands at any given moment. If your ASC handles medical billing and coding internally, stress levels are likely to go up when facing a payers’ audit. But a billing service can play the expert advocate for your ASC. Payers' audits are very much a part of their routine work; they know the process and have the documentation needed at hand. With a thorough understanding of billing processes and regulations, billing services will considerably reduce billing errors while ensuring compliance for your ASC. And what does this mean for you and your staff? Lower stress levels, and more time spent on providing better, quality care. A professional medical billing company maintains a large staff of dedicated, highly trained specialists in revenue cycle management. They can review and post all of your payments, making sure that carriers are making the correct payments, and preventing errors in adjustments. They'll also track every outstanding claim until it's processed and fully settled. The billing team will work closely with the office staff and provide training when necessary to ensure consistency and improve efficiencies in the overall workflow. Keep in mind that the goal of the billing company is to increase your ASC’s profitability—and by extension, their own. For any business to survive, let alone thrive, a steady cash flow is essential. Outsourcing to a billing service can be the key to reducing revenue cycle time and getting paid faster. This is simply because the billing service submits your claims faster, and with fewer errors, ensuring payments from payers in the shortest time possible. In addition to getting paid faster, the ASC stands to make more money because the billing service sends out fewer claims incorrectly. And since the billing service only charges a small percentage of the money collected, this means less stress and more cash in your pocket. Outsourcing medical billing and coding also helps the ASC save money. Businesses that handle their billing operations in-house have to spend thousands of dollars training specialized employees on the billing software; funding employee salaries and benefits; and purchasing computer equipment, office supplies and furniture. In comparison, a medical billing company will charge a percentage of net collections (or a flat rate for every claim) which is much less costly than paying medical billing staff for the same level of exceptional service. A good billing service will work hard to cut out inefficiencies, submit claims in a timely manner, and increase reimbursements. And with the reduction in overhead costs, the medical ASC sees bigger profits, which increases its ability to provide better patient care. Ultimately, the billing service aims to increase revenue for your ASC. Outsourcing your medical billing and coding is one of the best ways to make your ASC more efficient and increase patient satisfaction. With access to analytical reports and AR data, you'll always know where your business stands financially. This allows you to plan well for the future, so you can improve the quality of patient care, grow the ASC, and maximize profits. With an efficiently running ASC that allows you to focus on what you do best, you'll be able maximize profits, and ultimately become healthier, happier and less stressed. Learn more about how you can outsource your billing, make more money and worry less. Get a free consultation today.